Amy a project engineer for the Point Defiance Track and Signal Improvements. She played an active role in designing and improving 11.5 miles of track and 13.7 miles of signals work. Amy modified the existing track alignment to accommodate a passenger train at a higher speed than the existing speed limit. She and the design team strategized how to design a siding track in a very limited right of way with steep grades. Amy also verified the sight and braking distances particularly at critical locations with steep grades and sharp curves. She worked with the signals team to ensure the track alignment will meet the requirements for signal placements and braking distances in either direction, eastbound or westbound. Amy served as the mediator between the signals and the track teams. She communicated the signals concerns about the track design and vice versa to both teams so they can produce a design that benefits both the passengers, rail operators and maintainers. One of Amy’s first projects at RailPros was the Exposition Phase 2 Operations and Maintenance Facility. As part of the design team, Amy assisted the engineers in designing the train control system to the Agency’s standards and design criteria for signal locations and track circuitry. Amy designed the direct buried conduit and manhole layout plan for the cables running from the signal house to the train control equipment in the yard. She coordinated with various civil design disciplines to ensure there were no conflicts with other utilities. The biggest challenge in the utility design was to minimize construction cost and to lay the utilities without conflicting with large OCS foundations in a very constrained space. Amy also laid the train to wayside cable loops to not conflict with track clearance points. She played a crucial role in ensuring the train control system design operated per the maintenance standards. Below is a summary of major events that Amy has planned and participated to in collaboration with the K-12 Committee. Amy attended a Meet and Greet mixer with the Anaheim Unified High School District, which included both junior high and high school teachers. The event was an opportunity for with a teacher to partner with a professional to help bring engineering elements into classroom. She served as the professional correspondence to 12 teachers from 4 different schools. At Brookhurst Junior High, she assisted 8th grade teachers in planning a Solar Sprint Car lesson that connects classroom concepts to real world applications. She also worked with South Junior High to incorporate the Engineering Design Process into the students’ project based learning units. Amy used the model of the Engineering Phases (Preliminary Engineering to 100% Design Phase) to help the students tie practical applications into their science projects. Amy united elementary students with junior high students to learn about engineering. She worked closely with Phyllis Fukumoto and Laura Lockwood to draw parallels between 2nd grade and 8th grade science. Both curriculums address different aspects of physics. The 2nd graders are introduced to gravity while the 8th graders study Newton’s Three Laws of Physics. Amy organized an event that intertwined simple and advanced physics concepts reinforce the engineering design process. Amy assisted with preparing an interactive presentation connecting household items to the wide spectrum of engineering and ultimately civil engineering. The 2nd/8th grade buddies worked together on four different engineering activities, each emphasizing a different stage of the engineering process. They were instructed to build a paper helicopter, a spaghetti tower with masking tape, a spaghetti tower with marshmallows and a straw rocket. In addition to learning about the design process, the students were shown concrete test cylinders as a glimpse of what engineers do in research labs and donned personal protective equipment to simulate being on the field. The success of the Saturday Engineering Day prompted an opportunity to submit a proposal for the California STEM Symposium held at the Anaheim Convention Center. The proposal was accepted and Amy presented to teachers from across California on how engineering professionals can collaborate with teachers of all grades to bring engineering into their science curriculum. She spoke about the importance of coordinating with teachers in finding a link between science standards and real world practice. Amy advised teachers on connecting with professional organizations such as American Society of Civil Engineers as resources. Amy emphasized creating fun engaging activities beyond typical engineering presentations. Amy was contacted by the 4-H State Leadership Conference to host an engineering workshop for high school students statewide. She presented at the University of California, Irvine on the engineering world focusing on various opportunities available as a civil engineer. Amy enlightened students to civil engineering beyond the common structural bridge engineers and discussed transportation, wastewater treatment, hydrology and environmental engineering fields. To draw connections from everyday surroundings, she created Engineering Trivia about California for the students to answer after the conference. Amy shed light on what the students could do in college by introducing them to concrete canoe and steel bridge competitions hosted by the American Society of Civil Engineers. Amy was invited to be the guest speaker for Women’s Transportation Seminar’s Girls Engineering Day. She recounted her experiences, internships and studies she went through to become a Rail Engineer. Amy encouraged the young middle school students to join more afternoon science clubs and to not be afraid of joining a male-dominated club. She motivated the students to realize that they should not be discouraged for being a female in the male-dominate world and recounted how she overcame the fear of working with an all-male department at her current job. Amy emphasized that one’s gender does not determine one’s success but rather success is achieved through confidence and expertise. She encouraged aspiring female engineers to be uncompromising to industry stereotypes but to challenge the status quo by showcasing conceptual mastery. Amy also recounted challenges she had to overcome as being the only female in her Rail Department. Though many believed her to be an intern or a part time help instead of a full-time rail designer, she did not let this assumption stop her from asking questions about how the rail design is done with various constraints and how to formulate solutions. Amy has worked with the AISS for the past three years. AISS is a non-profit organization that assists students who are juniors and seniors in high school. Many of these students come from households that were not given an opportunity to continue beyond high school. This organization provides resources to give students an exposure to various STEM careers and majors available beyond 12th grade. For two years in a row, Amy coordinated a visit to an engineering office so the students can see the professionals in action. They tour the engineering office and observe the CAD department, and the design department. The students are exposed to a day in life of an engineer in person instead of an explanation by an engineer at a Career Day. Before the tour, there is a Q&A session with an engineering panel consisting of engineers from different career levels, (i.e. interns to engineers with several years of experience) to demonstrate the progress and growth of an engineering career. Overall, Amy’s contributions have been phenomenal. Under her leadership, the OC K-12 Committee has significantly grown by partnering with OC Branch, school districts in Orange County, and developing effective methods to reach out to potential future civil engineers. These efforts of K-12 Committee are being recognized by other organizations and teachers in Orange County. Our K-12 chairs were selected as note speakers at the Girls Engineering Day by Women in Transportation Society, State Leadership Conference by the 4-H Leadership Committee, and the California STEM Symposium by State teachers. A list of events is provided below. See attached list of K-12 events that Amy spearheaded in 2014-15. Further information regarding the key events is also provided under the Comments Section. Amy has planned and organized over eighteen K-12 Outreach events in the past year to students of all ages. She has worked with non-profit organizations, and private and public schools. Not only did she inspire students to consider the field of engineering, but she also helped educate teachers to know more about what engineers do. Her contributions were not limited within Orange County. Amy has spoken at state conferences and symposiums to a wide audience, from educators to students to parents. Amy is a Project Engineer with RailPros, and specializes in rail alignment design as well as the train control system. Amy has expanded YMF’s K-12 Outreach Program to be more than an engineering presentation. She has planned interactive day events and classroom visitations, which incorporate fun engineering activities. where the students can correlate subjects they are learning to their surroundings. Amy has been personally involved in the initial meet-and-greet of each individual teacher she has worked with. She held all essential meetings in person and has aligned engineering activities with the science standards being taught concurrently. She focused her event planning on what the students can personally gain from the event, whether it may be to understand the relationship between school and the real world or to inspire students to consider the field of engineering. Amy also partnered with non-profit organizations bring a world of engineering opportunities to students who come from households that were not able to continue education beyond high school. With the ultimate goal of motivating these students to pursue higher education in the STEM field, Amy provided tips and insight into what life is like as an engineering college student. She recounted her college experience participating in the fabrication of steel bridges and concrete canoes and competing against other universities in the annual Pacific Southwest Conference. Amy is truly passionate about bringing the world of engineering to students of all ages. Her personal goal is to inspire bright young minds to pursue an exciting and rewarding career in the field of civil engineering. She aims to encourage those who may love science and/or math, but does not believe they are qualified to do engineering. 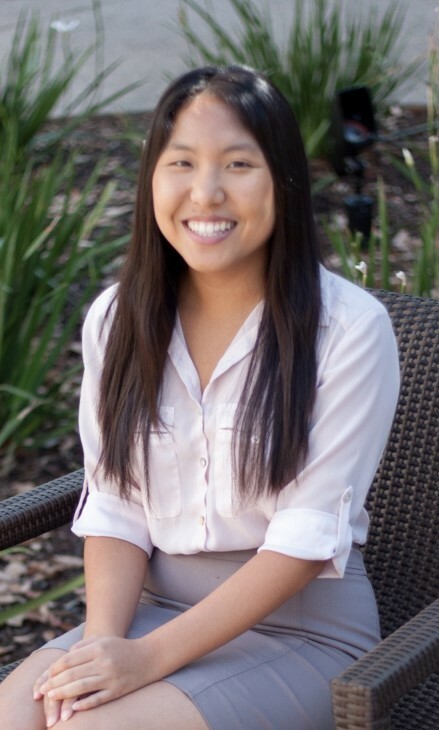 Amy has built a strong ASCE presence in the Orange County region to help build up future engineers and strives to continue inspiring eager students with innovative ways to present civil engineering.